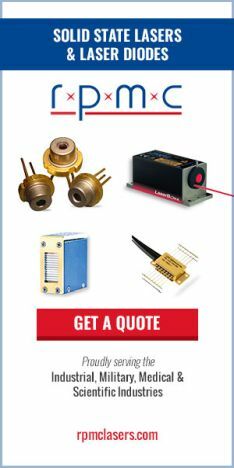 The RP Photonics Buyer's Guide contains 24 suppliers for yellow and orange lasers. InGaP-based laser diodes may emit orange light e.g. around 610 nm . The shorter the wavelength, the more difficult it is to obtain a good power efficiency and long lifetime. Praseodymium/ytterbium-doped upconversion lasers, e.g. based on fluoride fibers, can emit orange light with wavelengths around 605 nm . Dye lasers can cover the whole yellow–orange spectral region. Helium–neon lasers can utilize an orange laser transitions at 612 nm and 594.1 nm. Copper vapor lasers can emit pulses of yellow light at 578 nm . There are various types of frequency-doubled lasers, where the actual laser emits in the 1.1–1.2-μm spectral region and a frequency doubler converts this radiation into orange or yellow light. For example, a Cr4+:MgSiO4 (forsterite) laser can cover this spectral range . There are also optically pumped semiconductor lasers (VECSELs) based on GaInNAs or InGaAs quantum wells, which can generate orange or yellow light via intracavity frequency doubling [7, 8]. 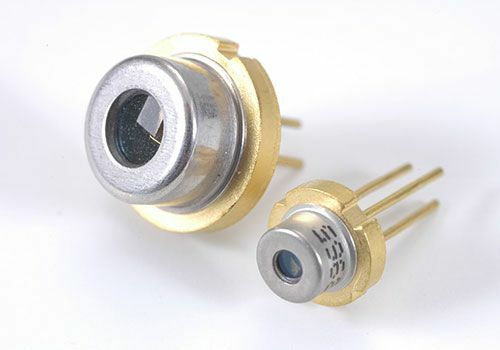 Some yellow or orange laser sources are based on sum frequency generation. For example, mixing the outputs of two Nd:YVO4 lasers emitting at 1064 nm and 1342 nm, respectively, results in orange light with 593.5 nm. There are even laser pointers containing such a source, but these are fairly expensive. Optical parametric oscillators may emit orange or yellow light, when pumped with a blue laser. 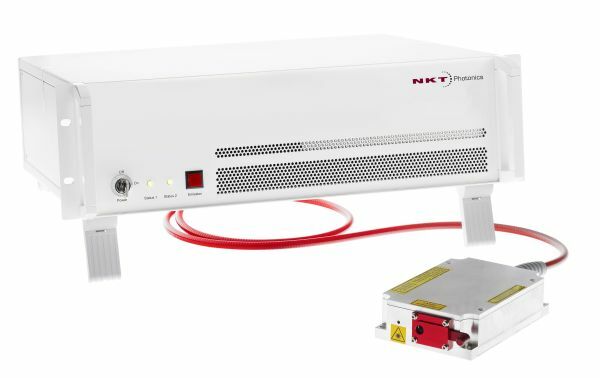 There are Raman lasers, often based on Raman-active bulk crystals (e.g. tungstate crystals), which can either generate orange or yellow light from green pump light , or generate light with wavelengths around 1.1–1.2 μm with a 1-μm pump source , so that subsequent frequency doubling or sum frequency generation leads to orange or yellow light. Orange and yellow laser sources are applied e.g. for laser guide stars (sodium laser beacons) and in medical laser therapies (e.g. photocoagulation in ophthalmology). Orange or even yellow laser pointers are not common.